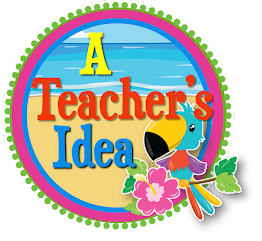 A Teacher's Idea: Why is Teaching Homophones So Hard? 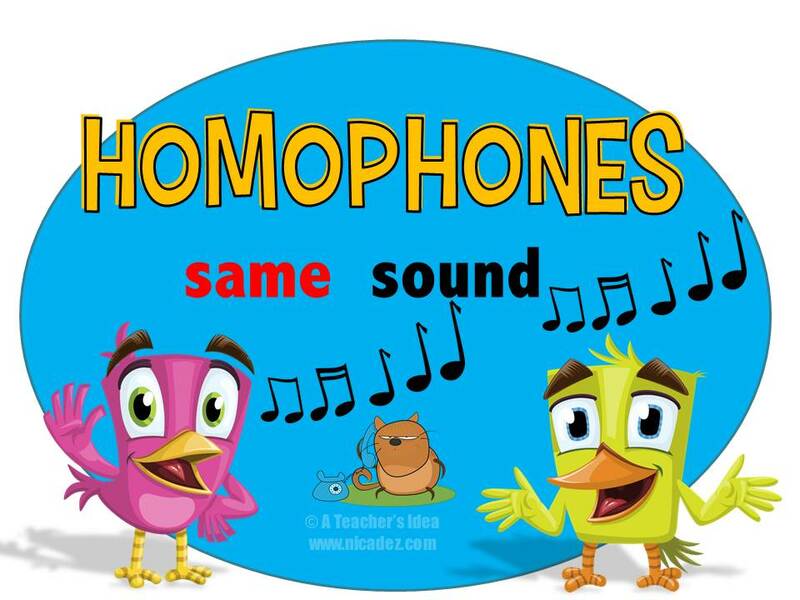 Why is Teaching Homophones So Hard? 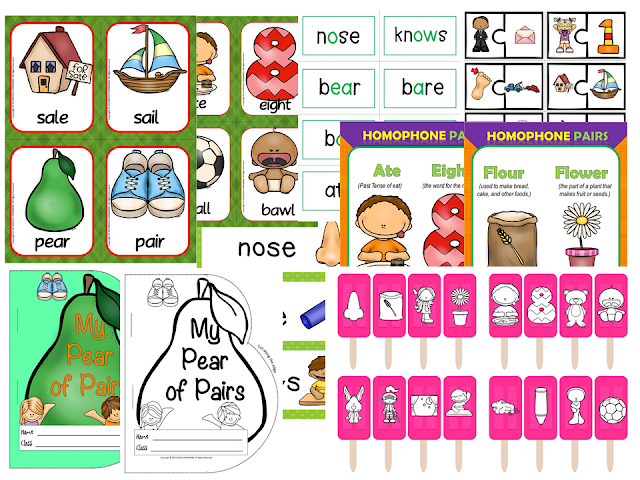 Teaching homophones to young children is both an art and a science. On one hand, there are tons of exercises you can use to draw their attention, to get them to use them properly, to get them to spell them correctly. On the other hand, the best method of teaching comes from how you engage them and not from a textbook. 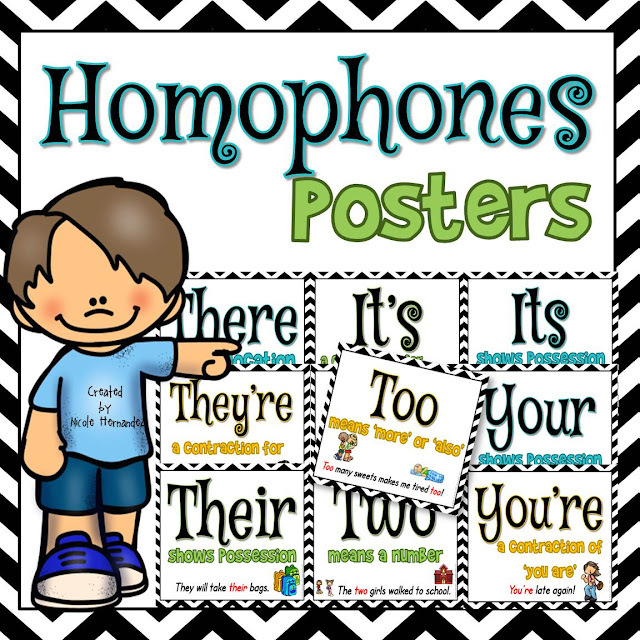 Your method must stand out simply because you want your students to leave your hands with an understanding and a working knowledge about homophones, especially since it is necessary for good writing. 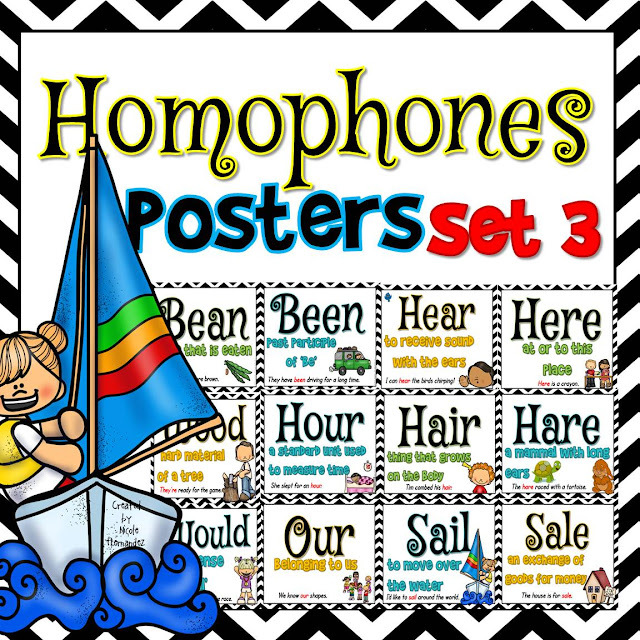 The best way to teach your students about homophones isn't to have them learn all the word lists by the end of the year (that may be helpful for some but not all students). Instead, give them many opportunities to create their own sentences with them. Eventually, they will build their vocabulary of homophones. They can use the lists as a reference or you can post them on the classroom walls. 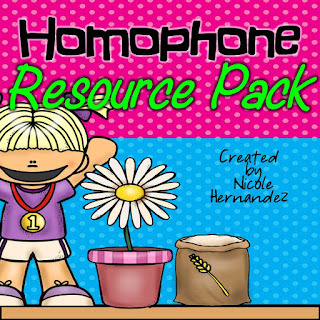 With that in mind, here are some helpful resources that you can use to get them writing efficiently using homophones. 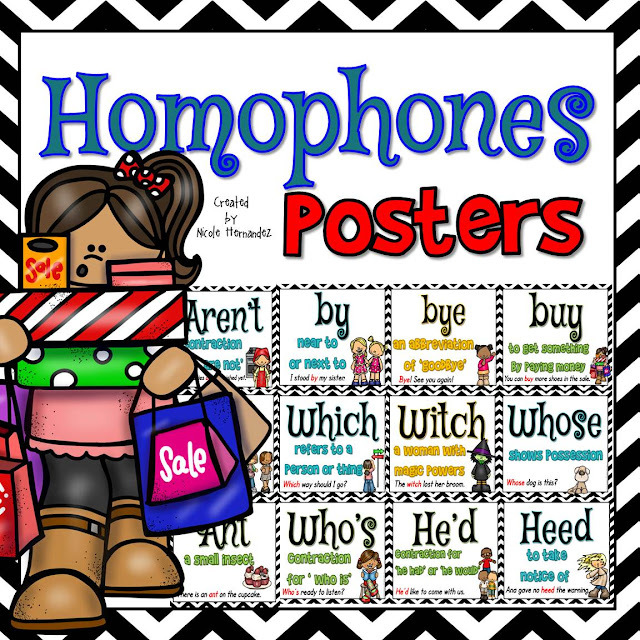 Here are links to poster sets for your classroom. 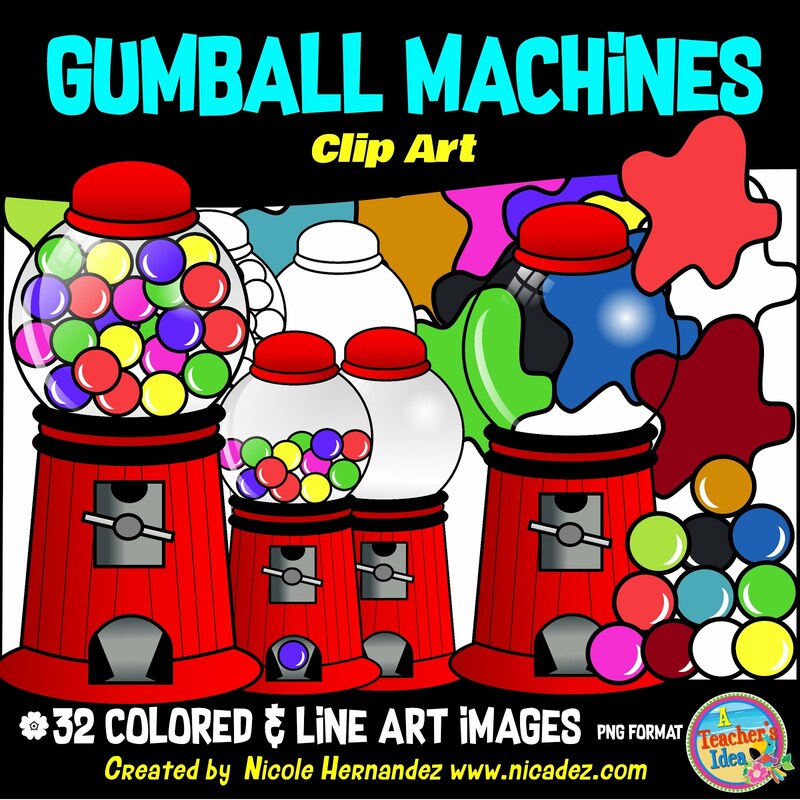 Click on the picture to be taken to my TPT Store.